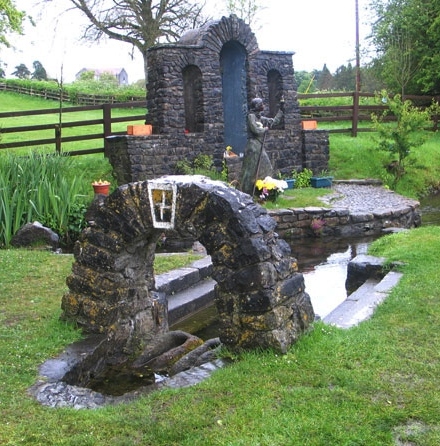 Brigid of Kildare, a popular Irish saint, goes by many names: Saint Brigid of Ireland, Mary of The Gael, and The Other Patron Saint of Ireland. 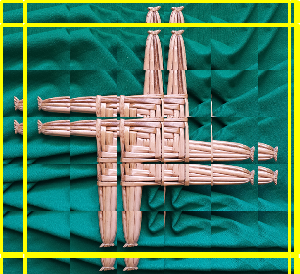 Thought to have lived from about 453-523, Brigid plays a prominent role in the history, religion, and legend of the Irish people. 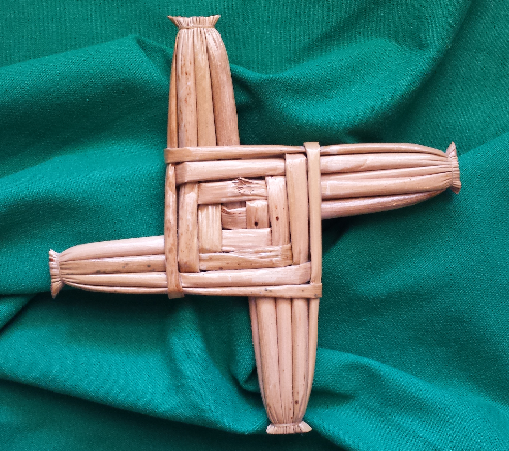 Most stories about Brigid illustrate her wisdom and kindess, or feature her bond with the common people of Ireland. Her Feast Day, February 1st, corresponds with an ancient Celtic festival called Imbolc, which celebrates the beginning of the planting season and the rites of Spring. Because of this, Brigid, the religious saint, is sometimes linked with Brigid, the Celtic goddess. 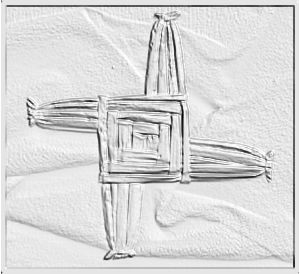 Associated with stories about beer, butter, bacon, and bovines, as well as with traditions such as an ever-living fire, a community procession and threshold rite, the making of straw crosses, a holy well of knowledge and healing, and a cloak with mystical powers, Brigid is the female champion of the Irish people. Said to have been born on a threshold and bathed with milk, Brigid went forth at a very young age doing good for others. In her teens, this daughter of a chieftan and slave woman, took readily and frequently from her father’s wealth and distributed it to people in need. When he discovered Brigid taking from his stores and giving away his best sword, her father took her before the King who encouraged Brigid’s tenacity and replaced her father’s sword to appease any anger. 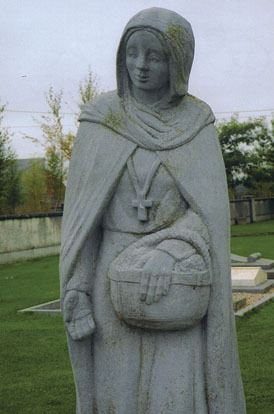 Worthy to be called a woman of action, Brigid chose land in Kildare for her Abbey and she did good works there and throughout the surrounding countryside of Ireland. It is said that Kildare Abbey overflowed with the sweestest and best milk from Brigid’s well nurtured cows. To find out more about Brigid, follow the links below. 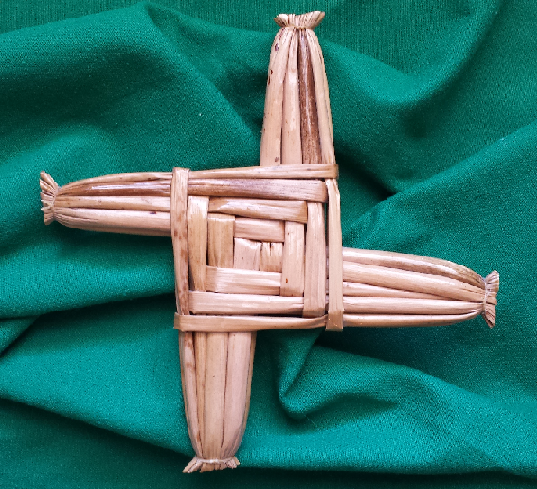 Brigid of Kildare is associated with many stories, legends, myths, and parables. Most stories revolve around her relationship with the community of Kildare, her activities within the walls of the Abbey, her interest and care for the common every day people, or her kindness to animals. She is often connected to the celtic goddess, Brigid, who is known for Imbolc, a springtime rite. For more information on Imbolc, or on the sometimes controversial discussion of Brigid, the goddess, versus Brigid, the saint, follow the GODDESS link below. In addition, there are many folktales that focus on Brigid with cows, beer, bacon, or other seemingly normal every day aspects of Irish country living. For more information on the various legends and myths about Brigid, follow the FOLKLORE link below. Brigid is revered by many for her kindness, and her acts of compassion and healing. She is a canonized saint, and is used often in religious literature as an example of upright and holy living. 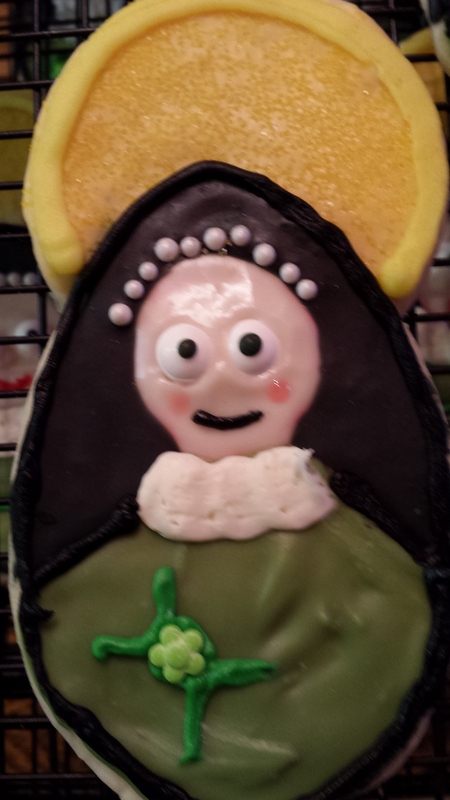 For more information about Brigid, her sainthood, miracles, and religious parables, follow the RELIGIOUS link below. 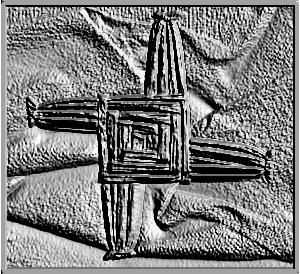 Historically, it is said that Brigid was the daughter of an Irish Chieftan named Dubhthach and one of his slaves named Broicseach. Before Brigid was born a druid prophesied that she would be famous across the country because of her virtue and power. While she is growing up, Brigid does nice things for the people in the community who are less fortunate than she is. As a Christian, she also pledges to be faithful to God, and at an early age begins performing miracles such as increasing the amount of butter in the household and making beer out of almost nothing. She went to ask the king for land to make an Abbey in order to praise God and make a home for the many people who were starting to follow her. 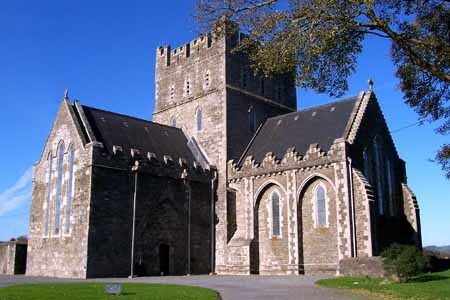 After much discussion and some original refusal, she finally became an Abbess at Cill Dara which is now called Kildare. To find out more about Cill Dara and the current community of Kildare, review the information on the Geographical Sites page of this website. Brigid was known to keep cows at the Abbey, and she is famous for protecting animals and having plenty of milk. Legend says that Brigid traveled to other communities in Ireland doing good works for God and recruiting others to follow her. Along with Saint Patrick, she is considered a Patron Saint of Ireland. There are many types of historical documents to be found discussing Brigid of Kildare, who is also called Saint Brigid or Mary of The Gael. 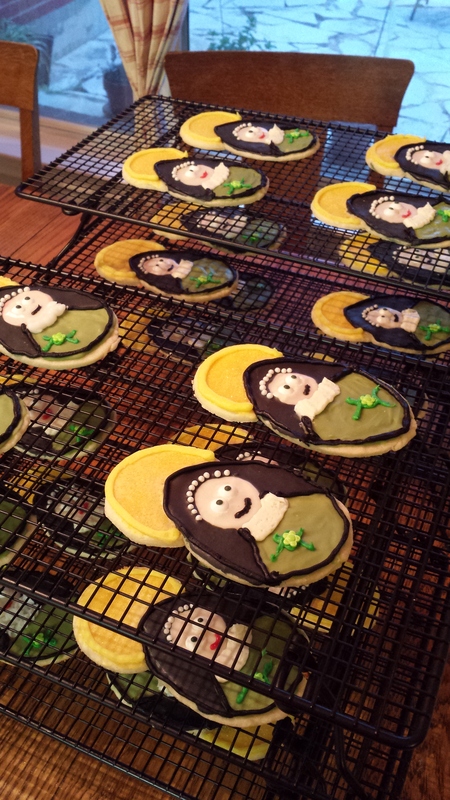 Some works are considered BIOGRAPHY, but some others are called HAGIOGRAPHY; in addition to these, there are many TRADITIONS that are centered around Brigid, her works, and her faithfulness. For more information on stories about Brigid, follow the Important Stories page on this site. For more complete information, refer to the Works Cited page or the Further Reading page. Brigid’s ties to geography and to the physical site in and around the community of Kildare is an important element of understanding her life and works. 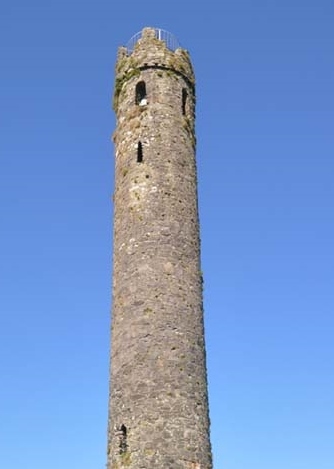 People today visit Kildare to see the well, the cathedral and round tower, the fire temple, and other famous items related to Brigid, the saint, and Brigid, the goddess. 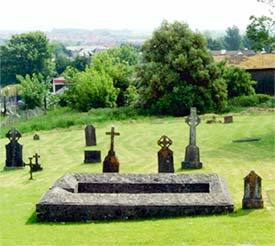 To learn more about the history or stories of Brigid, connect with other pages of this website. 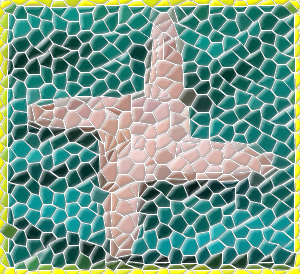 From this page, select a Geo Link below to learn more about sites connected to Brigid. From modern day nuns, to present day television and music, to children’s books and flashcards, faithful blessings and mystical readings, Brigid of Kildare has left an impression that continues to resonate with people of today. There seems to be something about the spiritual force of Brigid that inspires and encourages. 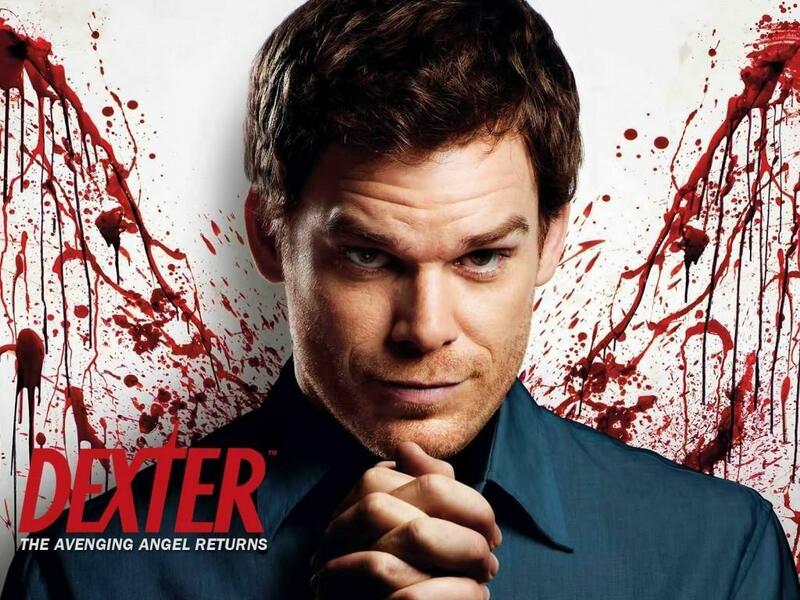 To know more about these contemporary connections, follow the links below, or look for flashcards and children’s books on the Further Reading page of this website. 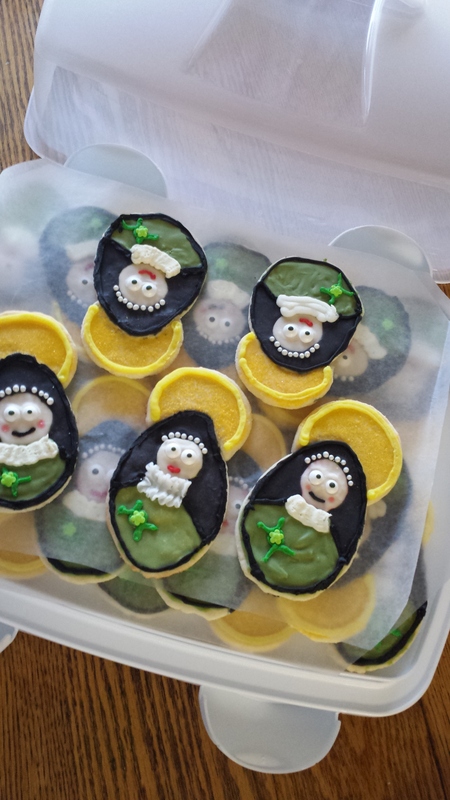 The pictures on this page link to activities and items connected to Brigid of Kildare. 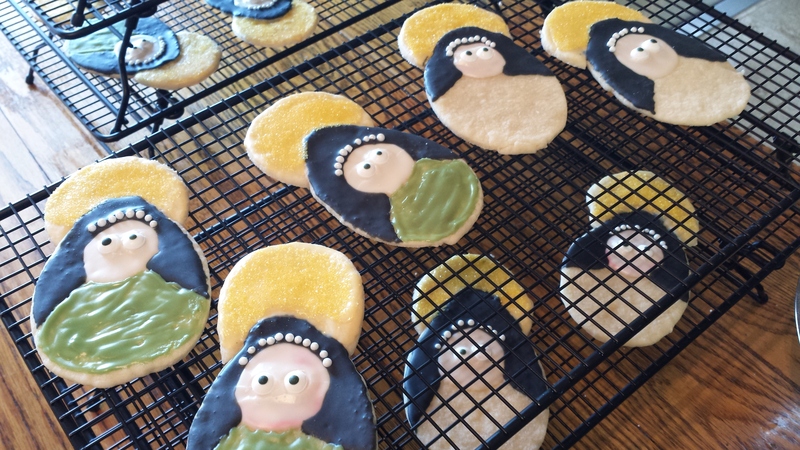 From baking cookies and bread, to sewing quilt blocks and cross-stitch, to crafting dolls and jewelry and soap, to creating a variety of inspiring artwork, artisans and crafters from around the world are influenced by Brigid and her legends. Hover over each picture below for sources and information; click on the picture to visit a linked site describing fun ideas about Brigid. 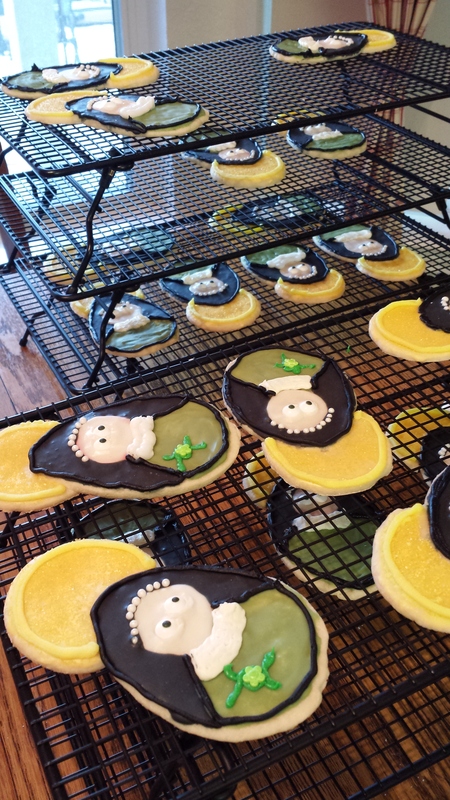 Here are lots of photos of Melody’s cookies! Bitel, Lisa M. “Body of a Saint, Story of a Goddess: Origins of the Brigidine Tradition.” Textual Practice 16.2 (2002): 209-228. Humanities Source. Web. 24 Mar. 2014. —. “Ekphrasis at Kildare: The Imaginative Architecture of a Seventh-Century Hagiographer.” Speculum 79.3 (2004): 605-627. JSTOR. Web. 24 Mar. 2014. —. Landscape with Two Saints: How Genovefa of Paris and Brigit of Kildare Built Christianity in Barbarian Europe. New York: Oxford UP, 2009. Kindle file. Bladey, Conrad Jay. Brigid of The Gael: A Guide for the Study of Saint Brigid of Kildare. Linthicum, MD: Hutman Productions, 2009. Kindle file. —. The Good Saint Brigid of Kildare: A Book of the Stories and Mysteries of Brigid of The Gael. Linthicum, MD: Hutman Productions, 2002. Kindle file. Camille, Alice. “Poor Examples.” U. S. Catholic 74.11 (2009): 39-41. Religion and Philosophy Collection. Web. 24 Mar. 2014. Curtayne, Alice. Twenty Tales of Irish Saints. Manchester, NH: Sophia Institute Press, 2004. Kindle file. Macneill, Máire. “Irish Folklore as a Source for Research.” Journal of the Folklore Institute 2.3 (1965): 340-354. JSTOR. Web. 24 Mar. 2014. Mistry, Zubin. “The Sexual Shame of the Chaste: ‘Abortion Miracles’ in Early Medieval Saints’ Lives.” Gender & History 25.3 (2013): 607-620. Wiley Online Library. Web. 24 Mar. 2014. Ó Duinn, Seán. The Rites of Brigid: Goddess & Saint. Columbia Press, 2005. Print. O’Brien, Karen Rushen. “The Other Irish Saint.” U. S. Catholic 76.2 (2011): 47-48. Religion and Philosophy Collection. Web. 24 Mar. 2014. Olsen, Brad. “Ireland.” Sacred Places Europe: 108 Destinations. San Francisco: Consortium of Collective Consciousness, 2007. 61-83. Ebrary. Web. 8 Feb. 2014. Rees, Elizabeth. Celtic Sites and Their Saints. London: Burns & Oates, 2003. Print. Reilly, Robert T. Irish Saints. New York: Wings Books, 1964. Print. Ryan, Salvador. “Steadfast Saints or Malleable Models? Seventeenth-Century Irish Hagiography Revisited.” Catholic Historical Review 91.2 (2005): 251-277. Humanities Source. Web. 24 Mar. 2014. Walker, Stephanie Kirkwood. “Brigit of Kildare as She is: A Study of Biographical Image.” Biography 17.2 (1994): 111-124. Project MUSE. Web. 17 Mar. 2014. Wright, Brian. Brigid: Goddess, Druidess and Saint. Stroud: The History Press, 2009. Kindle file. Craughwell, Thomas J. Catholic Cardlinks: Patron Saints. Huntington, IN: Our Sunday Visitor, 2004. Print. —. 30 Days with the Irish Mystics. Charlotte, NC: TAN Books, 2012. Print. Simpson, Ray. Daily Light from the Celtic Saints. Vestal, NY: Anamchara Books, 2013. Kindle file. Vost, Kevin. Three Irish Saints: A Guide to Finding Your Spiritual Style. Charlotte, NC: TAN Books, 2012. Kindle file. Meyer, Jane G. The Life of Saint Brigid: Abbess of Kildare. Chesterton, IN: Conciliar Press, 2009. Print. Milligan, Bryce. Brigid’s Cloak. Grand Rapids: Eerdmans Books, 2005. Print. 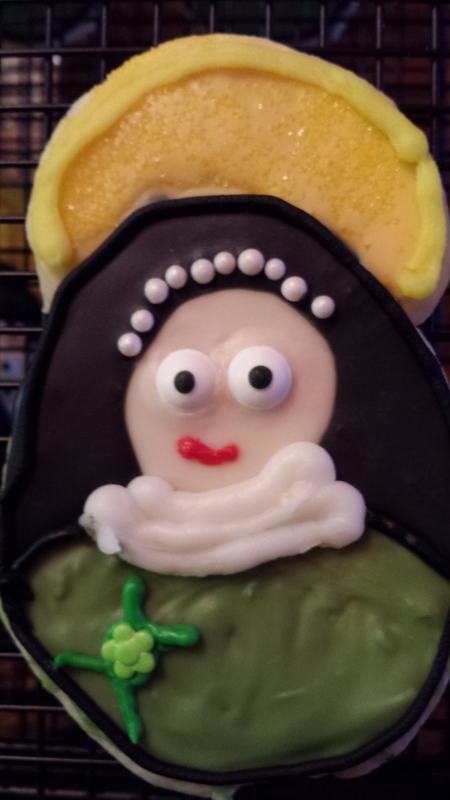 Monaghan, Patricia. The Red-haired Girl from the Bog: The Landscape of Celtic Myth and Spirit. Novato, CA: New World Library, 2003. Kindle file. Powell, Philip I. Antiquities of Kildare. Dublin: Megas Lithos Press, 2013. Kindle file. Scuegraf, Ersnt. Cooking with the Saints: An Illustrated Treasury of Authentic Recipes Old and Modern. San Francisco: Ignatius Press, 2001. Print. Terrel, Heather. Brigid of Kildare: A Novel. New York: Ballantine Books, 2010. Kindle file. Butts, Anthony. “Intercession to Saint Brigid.” The Missouri Review 26.3 (2003): 129-130. Project MUSE. Web. 17 Mar. 2014. Campbell, Joseph. The Hero with a Thousand Faces. 3rd ed. Novato, CA: New World Library, 2008. Print. Frankel, Valerie Estelle. From Girl to Goddess: The Heroine’s Journey through Myth and Legend. Jefferson, NC: McFarland & Company, 2010. Print. MacLeod, Sharon Paice. Celtic Myth and Religion: A Study of Traditional Belief, with Newly Translated Prayers, Poems, and Songs. Jefferson, NC: McFarland & Company, 2012. Ebrary. Web. 8 Feb. 2014. Tatlock, J. S. P. “Greater Irish Saints in Lawman and in England.” Modern Philology 43.1 (1945): 72-76. JSTOR. Web. 24 Mar. 2014. 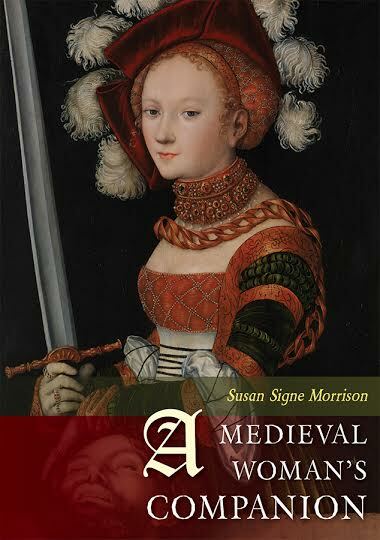 Wilson, R. M. “Some Lost Saints’ Lives in Old and Middle English.” The Modern Language Review 36.2 (1941): 161-172. JSTOR. Web. 24 Mar. 2014.